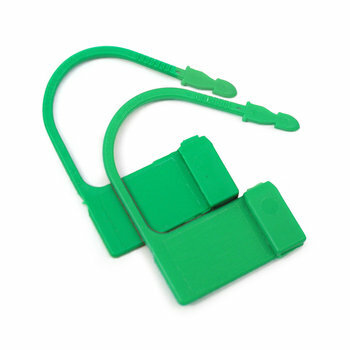 Simple Security: This pack contains a dozen tough, disposable Flight Locks. 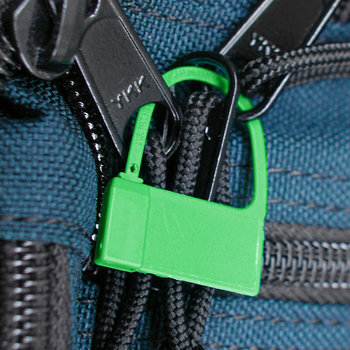 Whenever you check a bag, use them to lock your zipper-pulls together. This will keep the baggage boys honest, and keep the security folks from destroying your "real" locks. Use 'Em and Lose 'Em: After each Flight Lock has done its duty, you can snap it open with a few easy twists, then toss it away. One Color Fits All: Green goes with everything.